Getting a pup. Advice needed! Hello everyone, I'm new to the forum! And new to getting a border collie. I'm on the list for a pup in 4 months, from a very reputable breeder. 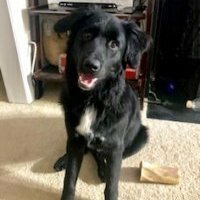 I'm so excited, but I've also been doubting a lot about my choice and I would love to get some input from experienced border collie owners. It would mean a lot! For years , it's clear to me that I will get a dog. My family always had Border Collies and I love, love, love the energy of these dogs. The problem is: I live right in the center of Amsterdam (Netherlands), and I'm in doubt if this is the right environment to make my dog happy. I have a home with a (small) garden. I live near a large dog friendly park. I have my own company and can schedule my time the way I want it. He can come along to the office if I have a long day, which is also next to a huge dog friendly park. I don't live alone: my boyfriend desperately wants a dog as well, and so the dog wouldn't have to go to the office every day. I have a dog school around the corner that offers puppy courses, agility, obedience and frisbee classes. Amsterdam is a very crowded city, but it still has the feel of a village, with small streets, low buildings and lots of green. But it's packed here, and there are lots of cars, and more bikes than there are people. So Im afraid of intense herding instinct, which could lead to him getting hurt. And like any city: it can be noisy and hectic at times. My dog should be able to handle this. He should be relaxed walking around. It should be possible to sometimes have him be alone at home, for a 3 or 4 hours. He should be calm when people walk by the house. The forums are full of stories about border collies becoming nervous wrecks when there are sounds/noises. Long story short: I don't want my greatest wish to turn into my greatest nightmare.. What do you guys think? I appreciate any advice. Thanks in advance! M.
Laddie (my border collie) is 2-3 years old and is very energetic. She is friendly and has a big heart, but we have been facing a few problems on our hour-long walks lately and I just wanted some advice on how to lower her aggression levels and how to over-all create a better atmosphere for the walk. I try to take her out as much as I can. It is mostly everyday, but sometimes it is eroded to every other day. I do not have time to take her out in the mornings. That is absolute. I have tried the treadmill, but Laddie did not seem pleased with the idea, so that was scratched. I am usually out of the house for most of the day, and I get back at around 4:00. I immediately take Laddie, out, and for about 10-15 minutes I ride my bike around my large yard, with her following and running along beside. I do this so that on the walk she is tired and spent of any energy, but that does not work. Still, I start off with that, then when she seems tired I hook on her leash and doggy backpack filled with weighted knickknacks. We start our hour-long walk, but when we start getting into a rhythm Laddie plows ahead of me. I reign her back and keep the leash about a foot long so that she stays beside me (I have had blisters from this part because the leash is so taut it slices my fingers). It's hard to hold her back, and I try to keep my energy calm-assertive, but she seems oblivious to my inner struggle for control. Apart from pulling, Laddie is aggressive with other dogs on-leash. Off-leash she is okay, not overly friendly but not aggressive. When we are on our walk, however, she goes into attack mode. When a dog comes into view, I tug her to the other side of the road, so they are not walking towards eachother. But Laddie has her gaze set on the other dogs, and her hackles and shoulder-fur start to rise. Nervous at this point, I try and snap her out of whatever trance she is in- gently nudge her, click my tongue, call her name, clap my fingers, poke her ear, touch her hackles, whatever I can think of. I have even held a treat out in front of her, but usually she just ignores it and stares at the other dog, her muzzle going crinkly as she bares her teeth. Then when the other owner and dog are close enough, she goes into a flurry of barking and lunging and growling. She tugs so hard on the leash that when I pull her back, it makes her stand on her two back legs. At this point, I am thoroughly embarrassed and try and walk her forward, but she refuses to budge as she portrays aggressive behavior toward the other dog (One time, she was so excited that she accidentally tripped me). When the owner and dog walk quickly away, I am thoroughly irritated and hurry to finish the walk, and this whole process repeats over again. Advice on how to correct this aggressive behavior would be appreciated. Thank you! Newbie..need advice on training please! Hi! I am new to the forum. I am Pamela and I have 2 dogs. One is an Aussie mix who is 2 1/2 years old. The other is a 3 yr old BC that I rescued a month ago. Her former owner didn't want her anymore . I am working on teaching her commands. She knows down, sit and stay. I am trying to teach her "left" currently and then "right." She is having a lot of trouble understanding commands. I don't remember my Aussie having this much trouble getting them. I have tried luring her with food into the left spin and clicker training. I show her over and over and then ask her to do it. She just sits and looks at me or noses me in the face. Any advice on how to train her? She is motivated by food and affection, but doesn't even know what a toy is. Thanks! !